ST. GEORGE — A Cedar City man with a string of theft-related crimes across Utah spanning nearly a decade was arrested and booked into Iron County Jail on felony warrants issued for criminal cases in 2016 and 2017. Dakota Ray Hazelwood, 22, was arrested Tuesday on two felony warrants, one for a 2017 case that includes one second-degree felony count of burglary of a dwelling and one class A misdemeanor charge of theft. The second case is from 2016, when Hazelwood failed to comply with the courts after he was convicted of one second-degree felony count of burglary of a dwelling and one third-degree felony count of theft. 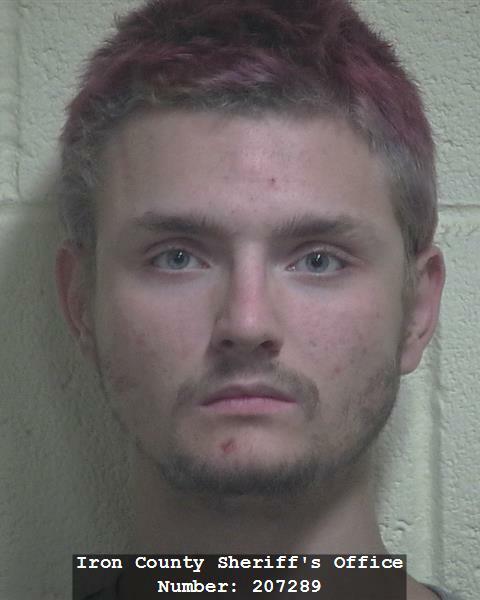 The charges filed in February 2017 stem from an incident when a woman called police on Feb. 27 reporting a burglary at her residence in Cedar City, telling officers that someone broke in by removing a window, according to court documents filed in the 5th District Court March 1, 2017. Once inside, the person took a television from the home and left. The woman also told police that a cell phone was stolen one week prior to the burglary, the documents state, and she gave officers the names of two individuals she suspected in the theft: Hazelwood and another man, William Tait. Officers made contact with both men, who police say admitted to breaking into the woman’s home during interviews with police. The pair “had been planning the crime for a couple of days,” investigators said in the statement. Both suspects admitted to taking the television, which they said was pawned at a local pawn shop for $80, and Hazelwood also admitted he had stolen a Samsung Galaxy 3 cell phone from the same residence “around a week ago,” which he handed over to his accomplice, Tait. Additionally, Hazelwood told police that in an unrelated incident he took a cell phone from the library two weeks prior to the home burglary and gave that phone to Tait as well in hopes it could be pawned for cash. 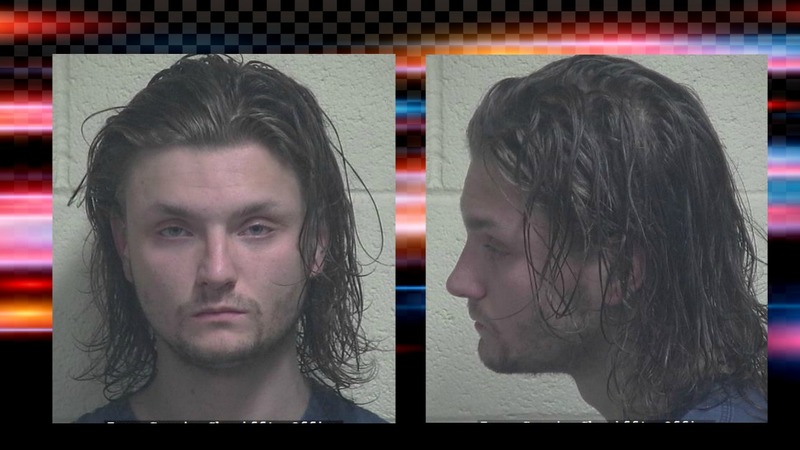 Both cell phones were later recovered during a search of Tait’s residence and his vehicle, and both men were booked into the Iron County Jail on similar charges. Hazelwood was also booked on a $10,000 warrant for burglary and theft charges originating out of Brian Head. Six months prior to the Cedar City crimes, Hazelwood was arrested in August 2016 and charged with two first-degree felonies after he allegedly broke into three different homes in Brian Head and took property totaling over $18,000, according to the charging documents filed in 5th District Court at the time of the arrest. According to the charging documents, Hazelwood allegedly stole firearms, wine, snowboards and motorcycles. Hazelwood later pleaded guilty, and a warrant was issued after he failed to comply with the terms of his probation when he was later arrested for similar offenses. Three months earlier, in May 2016, Hazelwood was arrested by police in Salt Lake City and charged with misdemeanor theft, which he plead guilty to in September of that same year and was sentenced to five days in jail, which he had already served. Hazelwood was on probation for an August 2015 case that was later revoked after the arrest. In the August incident, he was arrested by Salt Lake City Police when officers made contact with him after a resident called police to report a suspicious person that “was attempting to break in to trailers,” court documents said. During the interview with police, the suspect, who provided false information to the officers, “had a purse with him, and claimed it was his,” documents said, and when officers asked to search the purse, police say Hazelwood refused. Hazelwood was initially placed under arrest for giving false information to an officer. Officers searching the purse say they found a glass pipe and what appeared to be methamphetamine, which resulted in additional charges, including one third-degree felony count of drug possession and one count of possession of paraphernalia, a class B misdemeanor. The charge of providing false information to a police officer and the possession of paraphernalia charge were later dropped, and the felony drug possession charge was reduced to a class A misdemeanor. Hazelwood was sentenced to a 180 days in jail, and the case closed in October of the following year. Hazelwood was also arrested multiple times in 2010 by police in Midvale for theft and criminal mischief offenses, court records say. Hazelwood remains in custody on $15,000 bail and is scheduled to appear Tuesday in 5th District Court in Cedar City. Another member of the Faces Of Meth Club. What I don’t understand is how it goes back a decade when he’s only 22. Shouldn’t his guardian be charged for anything before he was 18? Jeff Spicoli has a twin? Who knew? A real career loser here. Might be no hope of recovery with this one. You have no idea what’s went on with this kid. He’s had a very hard life so for all you people talk smack about him . Know his story before you criticize him. I know him personally and he’s a good kid that has been through the screwed up system and been tossed aside . Once he turned 18 he was tossed out by his family and had nothing or no one . I’m not saying what he did is right but all you people that are quick to judge should clean out your own backyard before you start on some one else’s. No one is perfect !!!!!!!!! Maybe you should step up to help since you’re so vocal about it. Hopefully you’ll be there for him when he gets out of prison. YOU can be the change he needs in his life. Unfortunately, this type of hard luck story is all too common. Many kids that grew up with extreme dysfunction don’t end up as drug users or criminals. These crimes are extremely serious property crimes. Maybe he turns his life around when he’s out in a few years. You ever had your house burglarized? It’s very traumatic, I can tell you that. Maybe prison gets him off drugs for good? Step up and be the positive influence this man needs in his life, mark. Only words are shallow….